He served as a member of the United States Food and Drug Administration’s SCIENCE Board, the FDA’s highest advisory board, from 1995 — 2002 and as its Chairman from 1999-2002. Dr. Langer has received over 220 major awards. He is one of 4 living individuals to have received both the United States National Medal of Science (2006) and the United States National Medal of Technology and Innovation (2011). He also received the 1996 Gairdner Foundation International Award, the 2002 Charles Stark Draper Prize, considered the equivalent of the Nobel Prize for engineers, the 2008 Millennium Prize, the world’s largest technology prize, the 2012 Priestley Medal, the highest award of the American Chemical Society, the 2013 Wolf Prize in Chemistry, the 2014 Breakthrough Prize in Life Sciences and the 2014 Kyoto Prize. In 2015, Dr. Langer received the Queen Elizabeth Prize for Engineering. Among numerous other awards Langer has received are the Dickson Prize for Science (2002), the Heinz Award for Technology, Economy and Employment (2003), the Harvey Prize (2003), the John Fritz Award (2003) (given previously to inventors such as Thomas Edison and Orville Wright), the General Motors Kettering Prize for Cancer Research (2004), the Dan David Prize in Materials Science (2005), the Albany Medical Center Prize in Medicine and Biomedical Research (2005), the largest prize in the U.S. for medical research, induction into the National Inventors Hall of Fame (2006), the Max Planck Research Award (2008), the Prince of Asturias Award for Technical and Scientific Research (2008), the Warren Alpert Foundation Prize (2011), the Terumo International Prize (2012), the Benjamin Franklin Medal in Life Science (2016) and the Kabiller Prize in Nanoscience and Nanomedicine (2017). 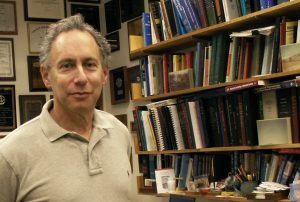 In 1998, he received the Lemelson-MIT prize, the world’s largest prize for invention for being “one of history’s most prolific inventors in medicine.” In 1989 Dr. Langer was elected to the National Academy of Medicine, in 1992 he was elected to both the National Academy of Engineering and to the National Academy of Sciences, and in 2012 he was elected to the National Academy of Inventors. Forbes Magazine (1999) and Bio World (1990) have named Dr. Langer as one of the 25 most important individuals in biotechnology in the world. Discover Magazine (2002) named him as one of the 20 most important people in this area. 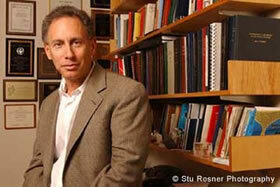 Forbes Magazine (2002) selected Dr. Langer as one of the 15 innovators worldwide who will reinvent our future. Time Magazine and CNN (2001) named Dr. Langer as one of the 100 most important people in America and one of the 18 top people in science or medicine in America (America’s Best). Parade Magazine (2004) selected Dr. Langer as one of 6 “Heroes whose research may save your life.” Dr. Langer has received 34 honorary doctorates. They include degrees from Harvard University, the Mt. 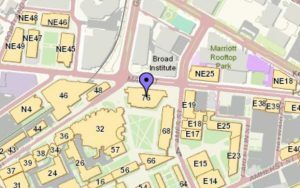 Sinai School of Medicine, Yale University, the Memorial Sloan Kettering Cancer Center Gerstner Graduate School, the University of Maryland, the University of Western Ontario (Canada), ETH (Switzerland), the Technion (Israel), the Hebrew University of Jerusalem (Israel), the Universite Catholique de Louvain (Belgium), Rensselaer Polytechnic Institute, Willamette University, the University of Liverpool (England), Bates College, the University of Nottingham (England), Albany Medical College, Pennsylvania State University, Northwestern University, Uppsala University (Sweden), Tel Aviv University (Israel), Boston University, Ben Gurion University (Israel), the University of Laval (Canada), Carnegie Mellon University, Drexel University, Hanyang University (South Korea), the University of New South Wales (Australia), Karolinska Institutet (Sweden), Hong Kong University of Science and Technology (Hong Kong), the University of Limerick (Ireland), the University of Illinois and the University of California – San Francisco Medal. He received his Bachelor’s Degree from Cornell University in 1970 and his Sc.D. from the Massachusetts Institute of Technology in 1974, both in Chemical Engineering.